We have a standard $19 Service Call fee, please see the following for additional estimated charges based on the services performed. At our San Diego Locksmith facility We have no hidden charges or fees and our technicians provide you with the full cost and explanation of charges before performing the work. level of the lock system + labor charged. 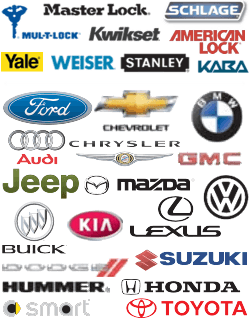 **This price is a minimum cost estimate for the service listed. Due to the fact that every key and/or ignition is uniquely built/cut, the final cost may vary, and will depend on the complexity of the service, the condition of the locks and programing costs if associated. differ in reality, therefore the price may vary. A $29 Service Call may be charged for areas outside the main service area. Pricing https://858locksmith.com/pricing/ 3.7/5 based upon 30 reviews.